On Sunday, the Syrian Army regained almost full control of Aleppo, completing a siege which began more than four years ago. In an interview with Sputnik the representative of the Syrian ministry, Fadi Ismail said that civilians are welcoming Syrian soldiers as heroes. Regarding some media reports suggesting that the Syrian Army has stormed the houses of civilians, the representative said that such messages are being spread by American and British media and these reports are unsubstantiated. "If such incidents actually occurred, I would have known about them. There would have been some evidence, photographs, videos or something else," the representative said. “In reality, everything happens on the contrary. When the Syrian fighters enter some area, people welcome them as heroes,” Ismail added. 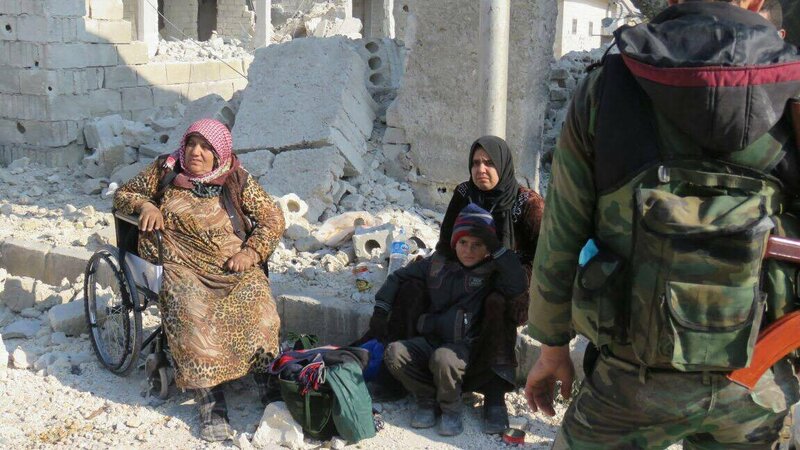 The Syrian authorities are now actively helping people in need and those who lost their homes in Aleppo. “The government has provided people with temporary refugee camps and afterwards people will be transferred into real homes. Each person may apply to a similar assistance center and get everything he needs: food, clothing, medicines, foods, household stuff, we have everything. People are not in need. All this is funded by the Syrian government,” Ismail said. 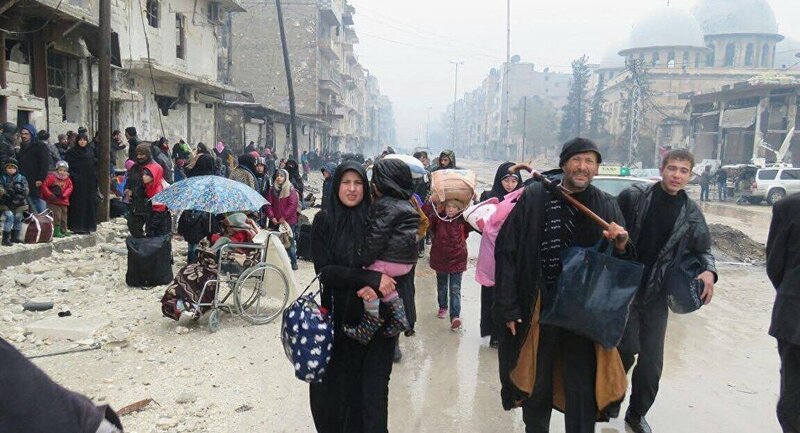 Talking about the situation in Aleppo the representative said that the militants are entrenched in 3-4 square kilometers; it is 2% of the territory of the city, which they previously controlled. “We do not know for sure how many fighters there are but according to our calculations, there are no more than 1,500. If we count their wives and children, then overall there are about six thousand people. They are holding captive 30 to 40 thousand civilians. Not more, because territory is not large,” Ismail told Sputnik. He further said that the Syrian government has repeatedly offered the militants to surrender in exchange for a pardon. Over the recent months, Aleppo became a major battleground in Syria between government forces and militants. On Tuesday, the Russian reconciliation center said that the Syrian government army controlled over 98 percent of the territory of Aleppo, with militants surrounded in a 2.5 square kilometer area. Why is US Fuming About Aleppo Liberation?